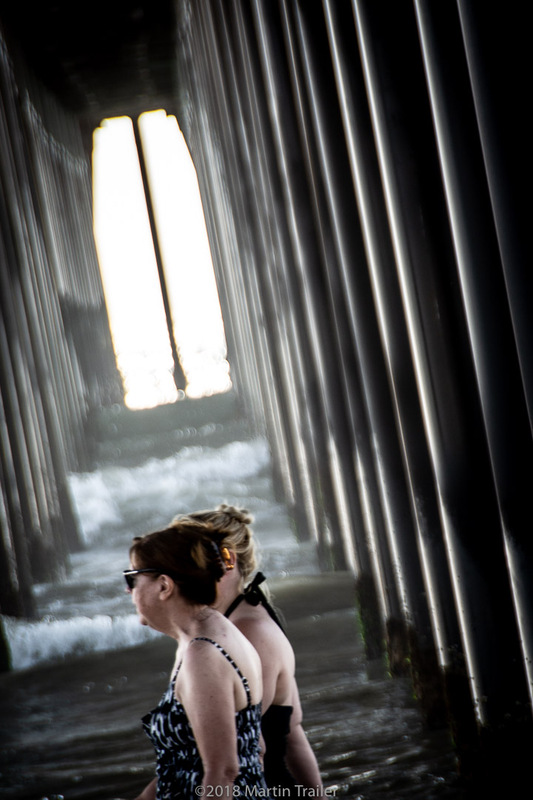 On a warm day out walking at the beach, I and as it turns out many went others when for the cover of a pier. I thought there would be a nice bit of shade and a tunnel looking photo with pilings waiting for me. Never had a clear shot, parents, kids, strollers, grandparents the works all cluttered my view. Then it cleared for a moment and these two gals leisurely walked through. Perfect, they give the shot some scale, just enough context to make it all work. Just get out there and do it, you never know for sure what you’ll end up with at the end of the day.